South and South-East Asian countries are currently in the midst of a new epidemic of Dengue Fever. This paper presents disease surveillance systems in Sri Lanka and India, monitoring a handful of communicable diseases termed as notifiable. These systems typically require 15-30 days to communicate field data to the central Epidemiology Units, to be then manually processed (Prashant & Waidyanatha, 2010). Currently used analyses rely on aggregating counts of notifiable disease cases by district, disease, and week. The Real-Time Biosurveillance Program (RTBP), a multi-partner initiative, aims at addressing those challenges by developing affordable paradigm-changing Information Communication Technology (ICT), implementing and field-testing them in India and Sri Lanka. Key components of the proposed solution include real-time digitization of clinical information at hospitals and clinics with the mHealthSurvey mobile phone software (Kannan et al., 2010), detecting anomalies in large multivariate biosurveillance data using the T-Cube Web Interface spatio-temporal statistical analysis tool (Ray et al., 2008), and disseminating critical information pertaining to the adverse events to healthcare workers using the Sahana Alerting Module (Sampath et al., 2010). 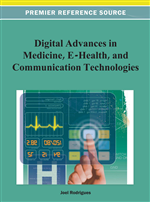 This paper provides an overview of the applications and discusses utility of the technologies for real-time detection and mitigation of emerging threats to public health. Public health monitoring systems used currently in India and Sri Lanka focus on a subset of approximately 25 communicable diseases designated as notifiable. When a patient is diagnosed with one of those diseases, a medical officer notifies regional health administration or local authorities using paper-based reporting methods and follows up with a phone call in certain instances. Health Inspectors would then make house calls to investigate the individual cases and, if needed, engage in mitigation and prevention procedures. Epidemiological statistics streaming from hospitals, health clinics, and health centers are gathered on paper forms and mailed in hard-copies. Upon receipt by the regional health offices, the data is periodically consolidated by departmental staff and summaries are passed further up the organizational structures, still on paper. Then, regional and national epidemiological centers can use the aggregated data for trending to identify any long term effects that might require reallocation of resources. In certain instances of the current process computers are used sparingly and primarily for generation of printed reports. Therefore, potential efficiencies due to automation or digitization are not realized. The Indian National Informatics Center (NIC) hosted Directorate of Public Health and Preventive Medicine (DPH&PM) web portal is a tool for entering manually summarized weekly or monthly data aggregates for generating electronic “Morbidity/Mortality” reports. The Sri Lankan Epidemiology Unit manually enters aggregated weekly counts received from health departments into spreadsheets to produce the “Weekly Epidemiological Returns” electronic report. Under the present system, it can take up to 30 days for information to move through, yielding avoidable delays in outbreak detection, notification, and response. Limited efficiency of the present systems is therefore an identified and important challenge. Our observations and interviews with health officials (Dr. P. Hemachandra - Regional Epidemiologist and Dr. L. Edirisinghe - Deputy Director Planning, Ministry of Health and Nutrition, Sri Lanka, consulted 16 December 2009; Dr. N. Raghupathy – Deputy Director of Health Services, Tamil Nadu Department of Health and Family Welfare, India) reveal that only about 20% of the patient preliminary diagnoses are confirmed by a medical officer, while the remaining 80% are left in probable or suspected status. Hospitals and clinics in rural India and Sri Lanka that examine a hundred patients each day operate predominantly as if they were clearing houses. Patient arrivals dominate the morning hours, often forcing reduction of service times to less than 2 minutes per person and posing additional challenges to accuracy of available and reported epidemiological information. Leading experts in the field of biosurveillance and health informatics have argued that improvements in disease detection and notification can be achieved by introducing more efficient means of gathering, analyzing, and reporting of data (Wagner, 2006). Introduction of new Information and Communication Technologies (ICT) create opportunities to improve efficiency in an affordable fashion, and affordability is the key requirement for successful deployments of any technology in developing countries. The primary research objective of our multi-partner research initiative, Real-Time Biosurveillance Program (RTBP), is to examine those opportunities more closely through a field-test-driven research into integration of the new ICTs with existing disease surveillance and detection processes (Vital Wave Consulting – report, 2009; Neil & Moore, 2006; Champan, 2009). We have established that it is possible to use RTBP approach to substantially shorten the latency of disease reporting, to make disease surveillance much more comprehensive and expressive than before, and to improve situation awareness of public health decision makers through the use of the alerting subsystem. In the process, we had to overcome numerous challenges, and the iterative evolution of the system continues. The attainable benefits of merit to the society include new efficiencies in public health event detection, reduced costs in gathering and processing health statistics, increased scope and depth of these statistics, enabled optimization of allocation of medical resources, and the ability to improve planning of short and long term preventive actions (Gow et al., 2010).